10 Best Camcorders 2019 - Which is the Best Camcorder to Buy? For those who don’t know, camcorders are basically cameras that are used to capture and record video, apart from this one purpose, these camcorders don’t really serve any other purpose, but despite, they are known to be one of the most sold out video equipment known to us. Just like any other camera, the camcorder market is quite large and saturated, and while the companies like Canon, Sony, and Panasonic have had their domains set up in this department too, people still end up getting confused because there’s so much to choose from. In order to make sure that the readers don’t face a lot of confusion while selecting the best camcorders, they are looking for in the market. The list consists of 10 Best Camcorders 2019 on the market, and while you may think that they are expensive, most of the ones we are reviewing are less pricey. Canon VIXIA HF R700 is one of the best camcorders of 2019 available in the market, and while it may not be giving you 4K video recording, do keep in mind that 4K recording isn’t as easily accessible as some may think, and even the 4K video recorded on smartphones doesn’t look as good. Today, we have the fantastic Sony FDRAX53/B on our hand, and right out of the bad, we would like to let you know that, this camcorder is capable of recording videos in stunning 4K, however, there is a tradeoff in that, something we’ll discuss later. Another great thing about this camcorder is obviously the fact that you’re also getting WiFi and NFC built right into it, and a nice feature allows you to connect multiple Sony 4k Camera together, and shoot simultaneously, while it may sound like a gimmick, it’s a great feature that can result in some incredibly shot footage. We are standing at a point where seeing some sort of revolution in video cameras doesn’t really seem possible. The main reason behind that is rather simple, video cameras have evolved a lot, and currently, the number of features they are offering are being recycled by every other manufacturer, as a matter of fact, in every other camera too. 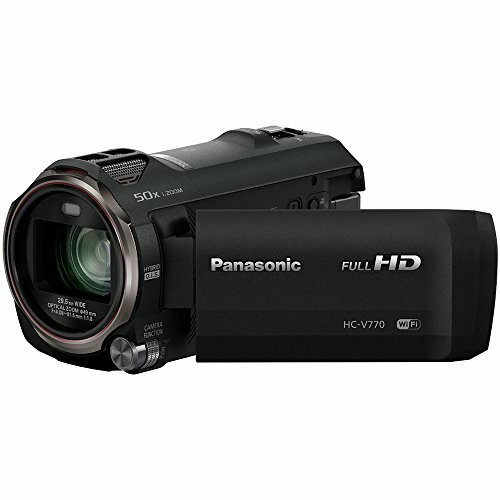 The Panasonic HCVX981K Ultra HD is basically professional camcorder on the list that comes with the support for 4K video recording, and while 4K is still not a thing that people can use comfortably, it’s nice to have that feature on board just in case. The overall video quality of this camera remains impressive, with a total of 18.91 megapixels in effect, it is one of the best camcorders of 2019 that we have managed to test to that. There are a lot of new features including the amazing Panasonic picture-in-picture feature that lets you have great control over the camera, and some of the other notable features to begin with. You’re also getting a pretty solid construction, and built-in WiFi, allowing you proper control over your video camera, just the way people prefer. However, not everything remains good with this camcorder as there are some downsides to it as well. Overall, we have absolutely no complaints regarding the feature set, and believe that his video camera is one of the best in the market. Yes, there are some downsides like the average battery life, but overcome that and you’ve got yourself a pretty amazing camcorder. Canon has a pretty decent ensemble of video cameras, and right now, we are looking at another one from the VIXIA series. 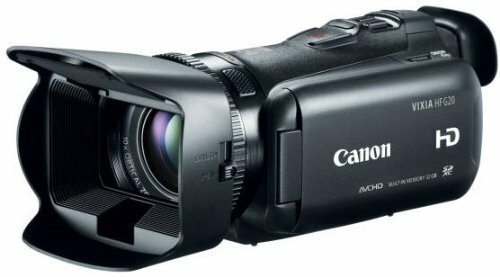 The G20 HD Camcorder is basically a higher end model from Canon that is pulling all the stops when it comes to being one of the best camcorder 2019 that are available in the market. The video camera offers the same build quality that you normally see in the high-end video cameras, and that’s a good thing. You won’t be feeling any of the cheap materials that the companies usually cram in whenever they feel like. It feels good that Canon has decided to stick with the traditional design that is well known to the VIXIA series. Moving on, the performance side of things remains pretty good, for those wondering, megapixel count really isn’t the biggest concern with video cameras mainly because you’re not going to use them for stills. 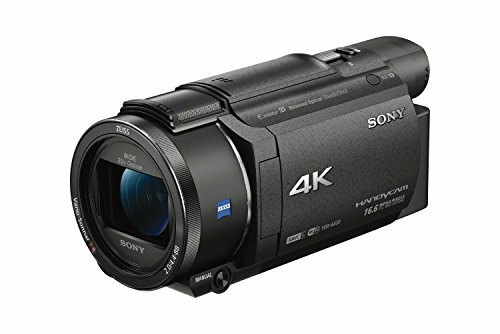 Sony is back again with another best camcorder of 2019, and this time, we are looking at the aptly named Sony HD Video Recording HDRCX405 Handycam, while the name is oddly long, and certainly a mouthful, this should be the only thing to worry about this amazing video camera. There are some basic features like the WiFi missing from this entry-lvel camcorder, but for those who really don’t care about such features, there shouldn’t be much of a problem. 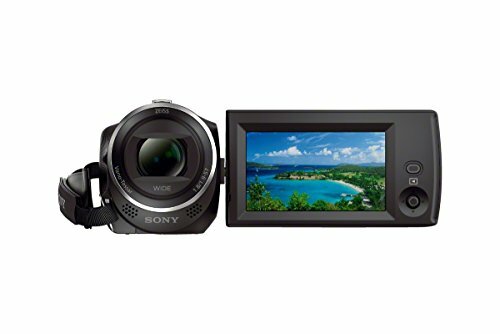 Overall, the Sony HD Video Recording HDRCX405 is a really, really good video camera for the price you are paying. The HF R72 covers up some of the much-needed features in the canon 4k camcorder, for starters, you’re getting a healthy 32 gigs of internal storage, in addition to that, you’re also getting the built-in WiFi, something that a lot of camcorders are normally missing out on. Another amazing thing about this budget camcorder is obviously the UI, quite possibly one of the best user interfaces we have seen on a canon 4k camcorder, and we are pleased to announce that Canon has done an amazing job. We are now looking at something rather new, and intuitive, we are not entirely sure if we should be calling it a camcorder, or a video camera, but it happens to be for the exact purpose. Say hello to Mevo! 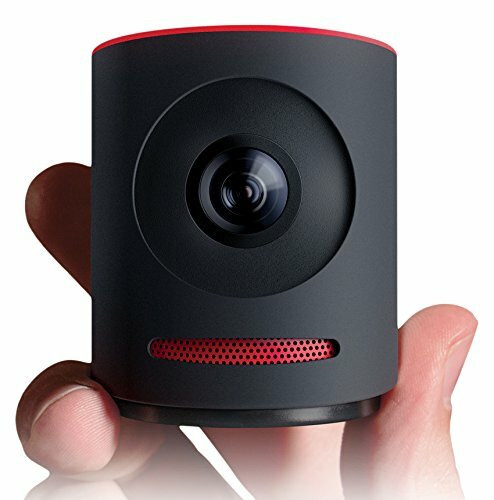 a rather small live stream camera that can be connected wirelessly to your iPhone in order to capture videos in 4K. How small? Well, it can fit in your palm. The video camera is controlled using an iOS app that is one of the best-made apps we have seen on a mobile phone, and lets you control all the features of the camera including the shooting modes that are present in there. The video camera also lets you live stream videos onto the website, or even Facebook, however, if that’s not your thing, you can simply save all the videos to the microSD card that goes into the camera. We are almost coming close to the end of the list of Best Camcorders 2019, and right now, we are going to take a look at a really amazing offering from Panasonic known as the HC-V770HD, now a lot of people don’t know, but as the name suggests, this camera actually shoots in full HD, but has some nice features build right into the overall functionality. With that said, let’s get right into the video camera itself, Panasonic has done a pretty good job designing the HC-V77 HD, it actually looks premium, and holding it is even more fun than you’d normally find in some of the other camcorders. Another good thing about this top camcorder is that Panasonic has gone ahead and put in some really nice features in it including a fully manual mode with a lot of control, and a physical dial that helps you cycle between the modes simply and easily. In addition to that, you’re also getting a pretty decent. IN addition to that, you’re also getting WiFi connectivity, something that should be added to all the video cameras. Once you will start digging into the features, you will realize there is a handful of shooting modes that are being given by this camera, including a slow-motion mode that lets you capture some amazing slow-motion videos. The only thing that’s lacking from this camcorder is obviously the focus ring. Overall, the Panasonic HC-V77D is a pretty neat HD camcorder, and while you can add a little more money and get the bigger brother that has support for 4K video recording, but if you don’t want to go that far, the Panasonic HC-V77D is how things should be. We understand that some of the cameras in the list are pretty expensive for the beginners, and there are a lot of readers that are looking for a budget camcorder, well, the good thing is that we have just one in our view. Say hello to the Sony HDRCX440B, a very simple, and brilliant camcorder that is there to provide you with the best possible experience. The reason we said budget oriented is because this camera is rather cheap, especially when you are comparing it with some of the other options on the list. While this camcorder doesn’t really bring anything innovative to the table, we thought it belongs on the list mainly because how good it is despite being a budget camcorder. The camcorder only shoots at 1080p and doesn’t have any advanced shooting modes like slow motion video, however, do keep in mind that the videos shot through this camera turn out to be pretty amazing. In addition to that amazing video quality, another really good thing about this camera is obviously built really well despite having a low price tag. 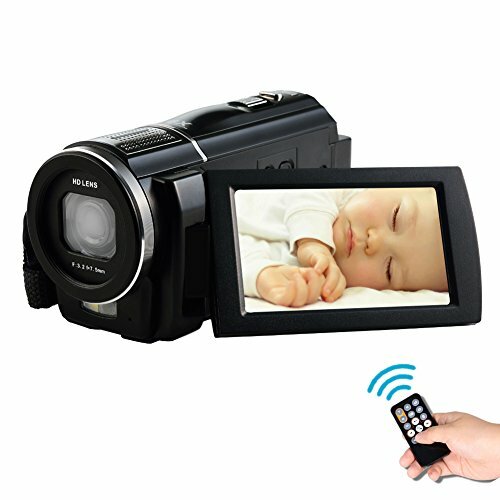 The camera provides ease of use, and the LCD, as well as the physical controls just add more in terms of the overall accessibility, the camera also uses a multi-camera control feature that helps you take a video from multiple angles whenever the cameras supporting this feature are connected together. With all the good things aside, finding flaws in this camcorder won’t be an easy job considering how the price you are paying for this is relatively low. However, bear in mind, that this camcorder is not built for professional work, and will only help the hobbyists the best. We are finally on the last product that will be featured on this list, and after that, we will be covering some of the other important things that you should know about camcorder. As for the camera, we are looking at right now, it’s from a company called Seree, and the model is HDV-S5. Now the important thing about these unknown companies is that we are not really provided with a lot of details, and scouring the internet in order to find some useful information normally goes in vain. Similarly, we experienced it with this camcorder too. Now the camcorder claims to have a 24-megapixel resolution, and that is something very huge, even though it’s just a camcorder made for shooting videos and nothing more. There is absolutely nothing groundbreaking about the camcorder itself, and while that may put some users off, do keep in mind that whatever it is offering in the price you’re paying for it is actually more than enough. While our short-term experience went relatively well with this camcorder, we can’t guarantee how the long-term experience will be, and whether or not the camcorder will survive the test of time. Now that we have explored almost all the good camcorders available in the market, we are going to take a look at some informational stuff that you should be paying more attention to. Using a camcorder isn’t all that difficult, even the most advanced ones take some time getting used to, however, it’s all about how well you are looking forward to using the camera. Today, we will be looking at some of the things you should be avoided at all costs in a camcorder, these things normally contain the things most people go for when buying a camcorder, and how it shouldn’t be happening. So, without further ado, let’s take a look. While megapixels do make a lot of difference in point and shoot cameras, or DSLR cameras, when it comes to camcorders, there isn’t a lot of difference to make. That’s mainly because the sensor will only shoot a video at the effective resolution that the camera has. Do you know what term is used for camcorder apart from a video camera? A Handycam, this literally means that the camera is built to be handheld so it can give you enough freedom to move around and use it easily. Buying a camcorder isn’t all that difficult, all you need is some amount of proper knowledge, and enough budget to go out in the market and buy the best camcorder in 2019. However, the most common issue with the latest camcorders is that there is little room left for innovation, that is basically leading several companies into creating products that are a lot similar to each other with little to no difference. When it comes to the camcorder, or cameras in general, one of the most important factor you need to consider is the lens and the sensor, when buying a camcorder, make sure that the lens is wide, and the sensor is large. There are a lot of things that one should be considering when buying a camcorder, for starters, you need to make sure that you are well prepared to go through heaps of available products in the market, and once that’s done, you will need to decide the one that you want. As the technology is progressing, more and more companies are getting rid of built-in viewfinders in the favor of the LCDs, and while the cameras that have both exist too, coming across them is a bit hard. A viewfinder is basically there in order to help you look at what you’re capturing, bear in mind that while you can see all the same in LCDs as well, the experience is different and less different. Which is Best Camcorder 2019 for You? Now that everything is out of the way, we are going to discuss which camcorder is actually nice for you. 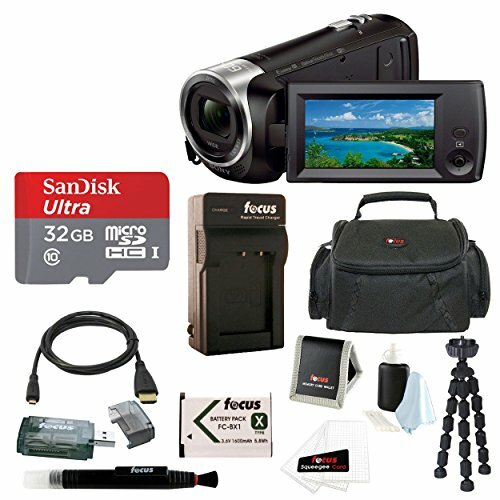 After going over a list of amazing products, finding the best camcorder wasn’t really difficult, to begin with. 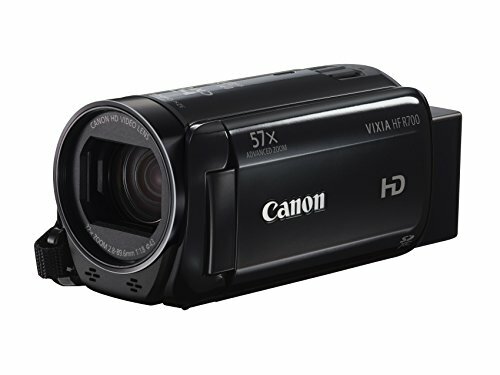 Simply put, the Best Camcorder 2019 is the Canon VIXIA HF R700 Camcorder, and there are quite a lot of reasons behind that. Now we know that the camcorder isn’t offering anything beyond 1080p, but it’s all about the performance it provides, as well as the amazing 57x optical zoom that can work wonders in almost all the shooting situations.